This colorful sphere with swirls of Blue, White and Metallic Gold is attached to a beautiful black glass base. This award comes with a black & gold laser engraved plate. 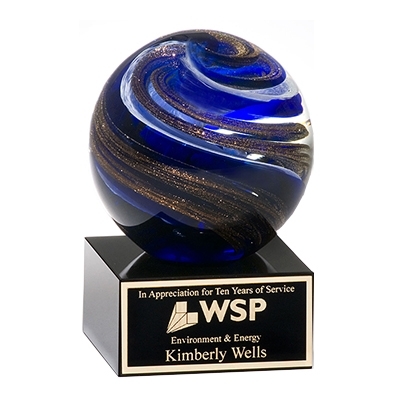 Great as desk paperweight, office award or volunteer recognition!